I love this oven mitt pattern. I'm also using some of the yarn that I hand dyed for the Housewarming Oven Mitts. 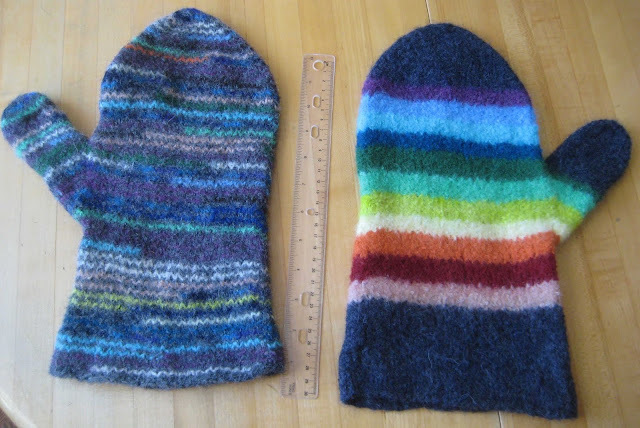 When using up my stash of Knitpicks Wool of the Andes yarn, I don't have enough yarn to make a mitt in a single color, so I tried to make some interesting striping patterns to decrease my stash. Increases for the thumb begin at row 32. Decreases for the top start after row 72. There are 93 rounds total to this pattern. (After row 91, 12 sts remain). These steps should help me plan out striping patterns in the future, and help me with placements should I start to try some intarsia. The rainbow of remnants used for these mitts. 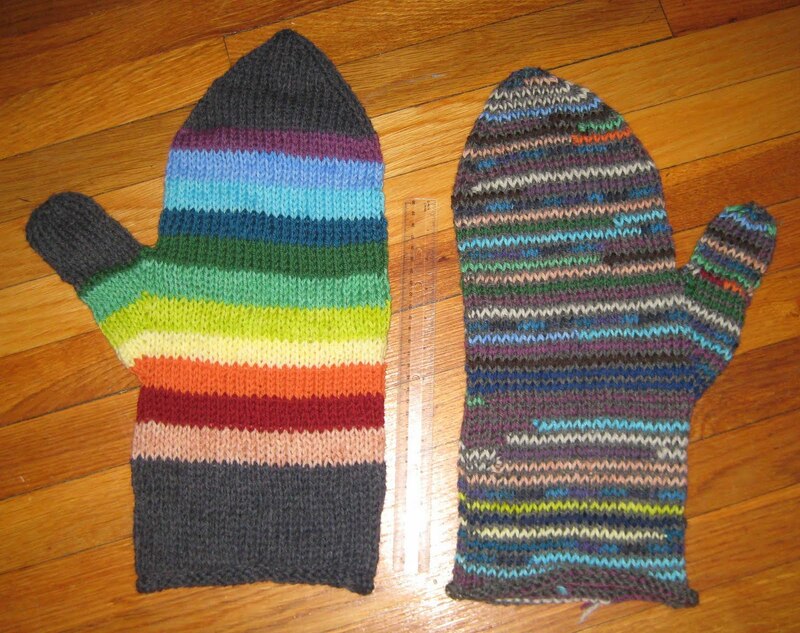 The rainbow shown in the previous photo was used for the mitt on the left. The mitt on the right had a much more random striping pattern. I cannot wait to see how they'll felt! Oh no! The post is over 5 years old so patterns sometimes move. Let me see if I can track it down. enabling nourishments to be cooked more advantageous without giving up taste.